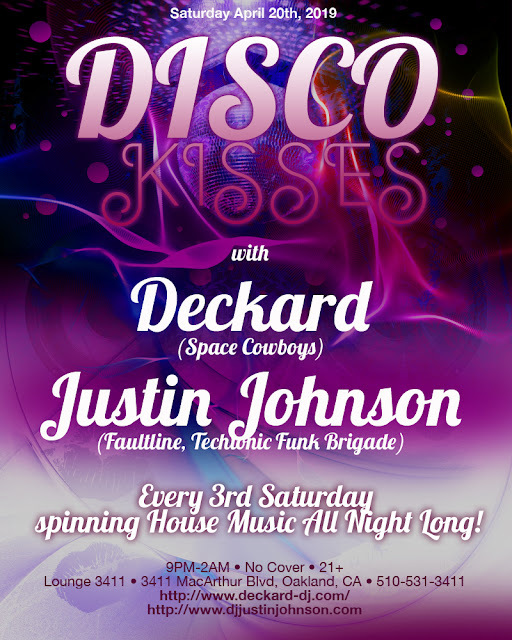 The 2nd installment of a brand new monthly throwdown every 3rd Saturday at Lounge 3411 with Justin Johnson and Deckard. Droppin' dirty beats and groovy vibes all night long. Southern Vice Recordings, Space Cowboys, Cylon Dub Receptor, and Cable Recordings are proud to present a night of extended DJ sets with Deckard and Justin Johnson, where they will each play for more than two hours and take you on a musical journey. Focused on House Music, you can expect to hear original tracks from Justin and Deckard, various forms of House Music, Big and Dirty Beats, Classics, and maybe even some Breaks tossed in the mix , but always from the heart of the underground.